← How to discover interesting patterns in data? 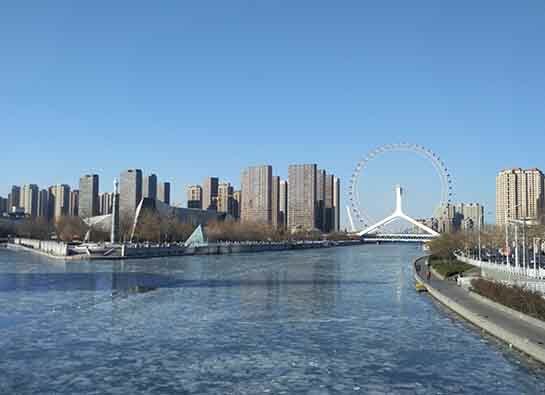 This week-end, I have attended the WICON 2017 conference in Tianjin, China to present a research paper about the application of data mining to analyze data from water meters installed in the City of Moncton, Canada. In this post, I will give a brief overview of the WICON 2017 conference. 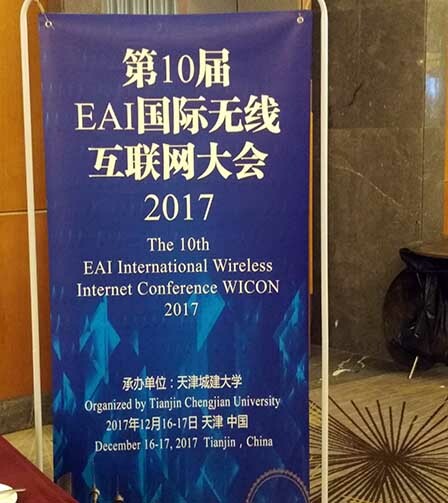 This was the 10th edition of the WICON conference (International Conference on Wireless Internet), which is organized by the EAI (European Alliance for Innovation). The conference is about networking and is attended by both researchers from computer sciences and engineering. 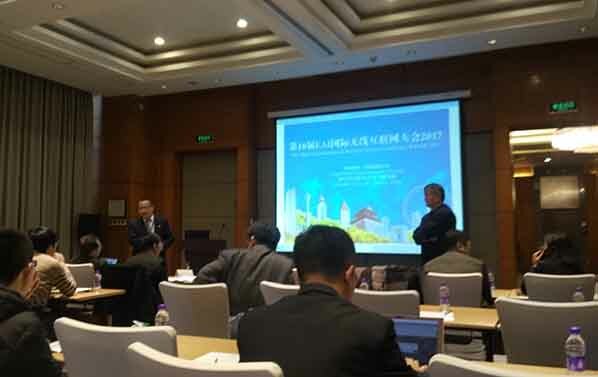 This year, the conference was held at the Holiday Inn hotel in Tianjin, China which is a major Chinese city having historical importance. 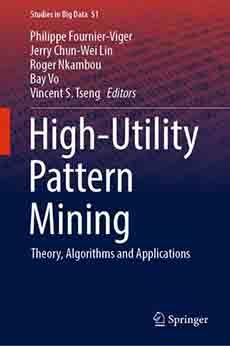 The conference proceedings are published by Springer, which ensures some visibility and that paper will be indexed in various publication databases. However, at the time of attending the conference, the proceedings were not available on USB or as a book. Only a download link was provided the day before the conference to the attendees. It was said that the reason for not providing a USB or book is that the conference proceedings will be published after the conference. 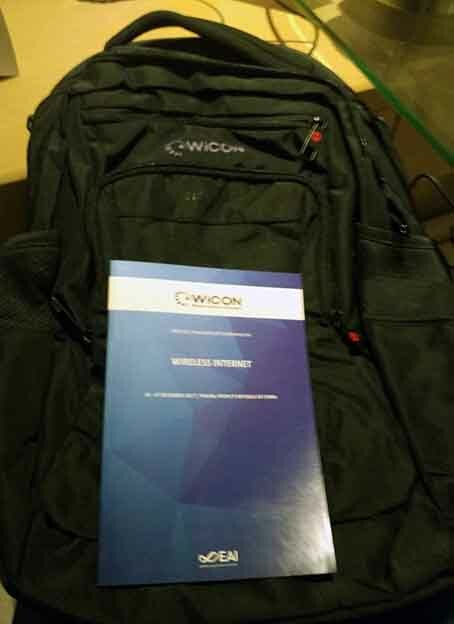 Each attendee receive a conference bag and a booklet indicating the conference program. About the acceptance rate, it was announced that 85 papers were received from 10 countries. From those, 15 were rejected before the review process. And then, 43 papers were accepted. Thus, the acceptance rate is 62%. The conference is an international conference. But the majority of the papers were from China. In the program there is about 2 papers with a majority of authors from Canada, 1 from Morroco and 1 from Senegal. The program committee of the conference is quite international though, and the conference has been held in various countries including United states, Hungary, and Portugal. But in recent years, this conference seems to have been more focused on China as four of the last five editions were in China. 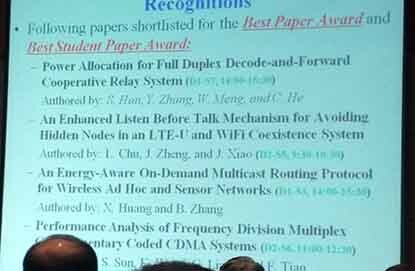 Four papers were nominated for the best paper award. It was announced in the conference booklet that the best paper award would be announced at the conference gala/dinner held in the evening of the first day. But it was actually announced on the morning of the second day. I did not note take note of who the winners were. According to the booklet, a conference gala/dinner was to be held from 19:00 to 22:00. However, on the ticket, it was written 18:00 to 20:30. This actually created some confusion. I asked some people at 17:50 (at the end of the technical session) and they told me to go to the hotel restaurant at 18:00. Thus, I was there from 18:00 to 19:20 and I just sat at a table eating while a few people from the conferences were eating at other tables. Then, at 19:00, a few more people from the conference started to arrive (those who thought there would be a gala at 19:00). But there was actually no announcements or gala (at least during the time that I was sitting there), so I finally went back to work in my hotel room after a while. The conference is about networks. It had various tracks. The papers were about topics such as: clustering for spectrum resource allocation, clustering applied to monitor wireless sensor networks, evaluation of multi-channel CSMA, MIMO and mmWave, Vehicular networks (VANETS), routing protocols, security and internet of things, swarm of drones for intrusion detection, analysis of mobile traffic, networking algorithms and protocols, and cloud and big data networking using fuzzy logic, haze prediction and clustering. There was two keynotes by some good researchers in the field of networking. One of them was about his research on applying deep learning for routing traffic, which is an interesting approach. That approach appeared to give good results. However, there remain some challenges as examples were given with a small network (about 16 nodes), and it was said that the computing cost is very high (something that could maybe useful in 20 to 30 years from now). For the first keynote, I try to recall the title, but cannot find the title or abstract in the conference booklet or website. It was on overall interesting to attend this conference, although I must say that this conference is a little bit outside my field (I usually attend artificial intelligence and data mining conferences). The conference is not very big, so the opportunities for networking are limited compared to larger conferences. A good point is that this conference is published by Springer.